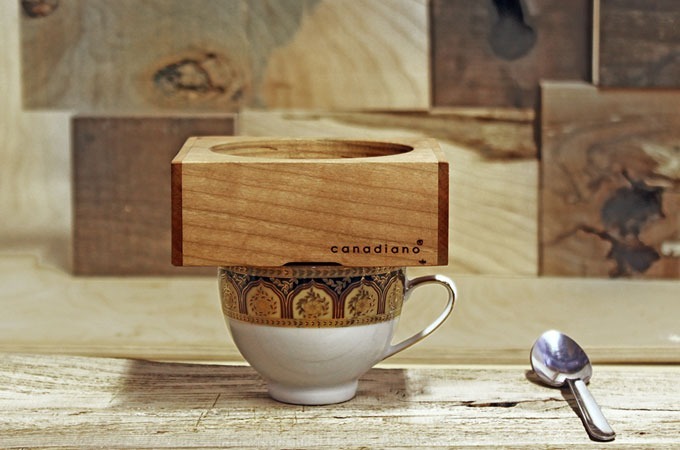 Carved out of cherry, walnut and maple lumber, the Canadiano brewer by Fishtnk Design Factory is a personalized system for crafting a cup of coffee in a block of carved wood. 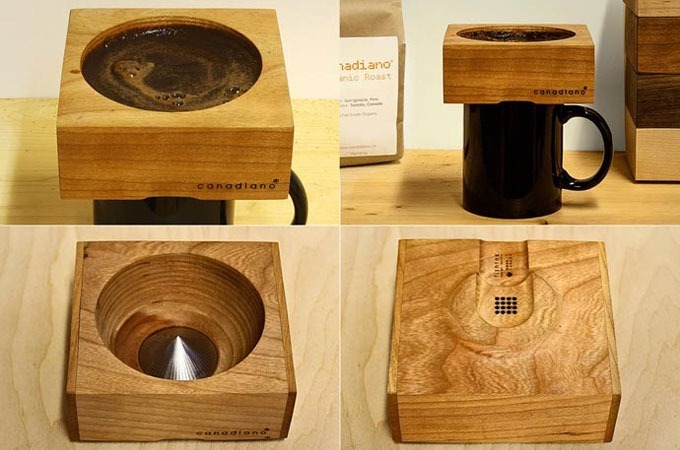 Placing the device on the top of a cup, two spoons of ground beans are placed inside the hollow opening and hot water is poured into the volume, taking approximately 2-4 minutes to brew. 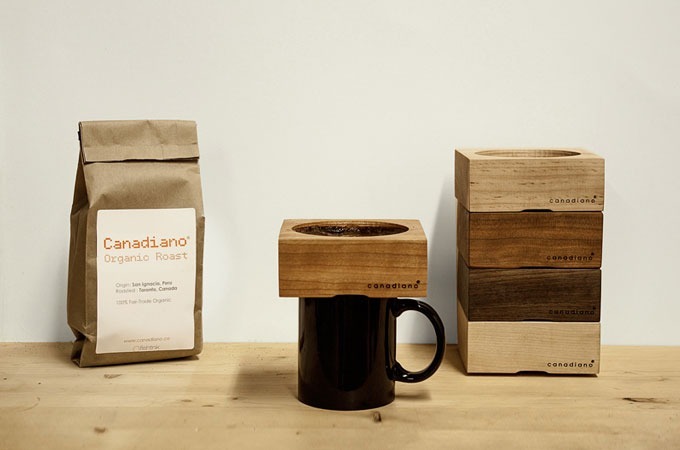 Crafted for picky coffee connoisseurs, the wooden piece remembers each cup of coffee made. Overtime, the oils from specific beans are absorbed into the material, becoming a part of every brew. each type of timber is matched for use with different roasts from around the world; the walnut edition is designed for darker roasts and earthier flavors from south east asia while maple and cherry are suited for beans with slight citrus hints and a nutty taste. The metal filter reduces waste and lowers the environmental impact, by not using paper filters like many other pour-over devices.